His religious observances, whether public or domestic, he never suffered to be interrupted by business or pleasure. Lady Abney informed Dr. Gibbons, one of the biographers of Dr. Watts, that he kept up regular prayer in his family during all his mayoralty, and that upon the evening of the day he entered on his office, he without any notice withdrew from the public assembly at Guildhall after supper, went to his house, there performed family worship, and then returned to the company! 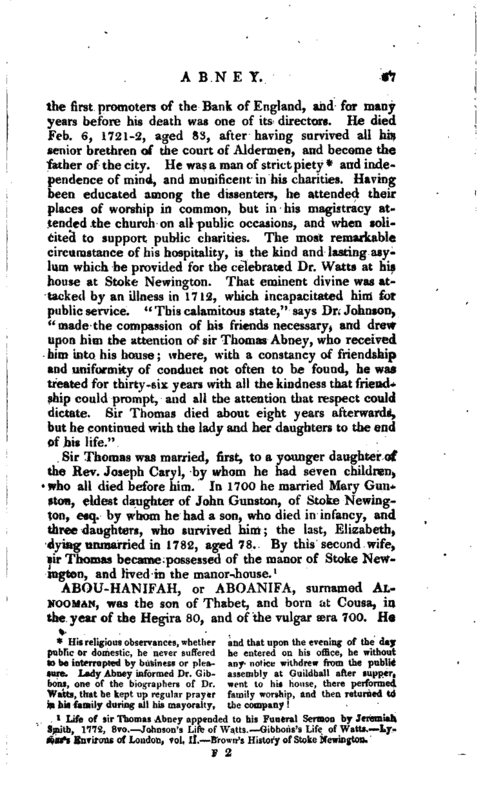 Life of sir Thomas Abney appended to his Funeral Sermon by Jeremiah Smith, 1772, 8vo.—Johnson’s Life of Watts.—Gibbons’s Life of Watts.—Lysons’s Environs of London, vol. 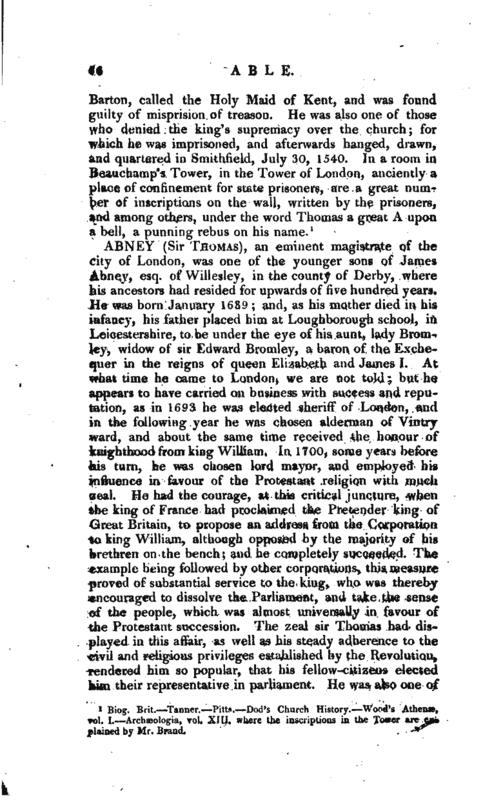 II.—Brown’s History of Stoke Newington.